Well it’s been hectic over the last couple of weeks. Some river fishing some fish spotting and a Tench Fishers fish-in. 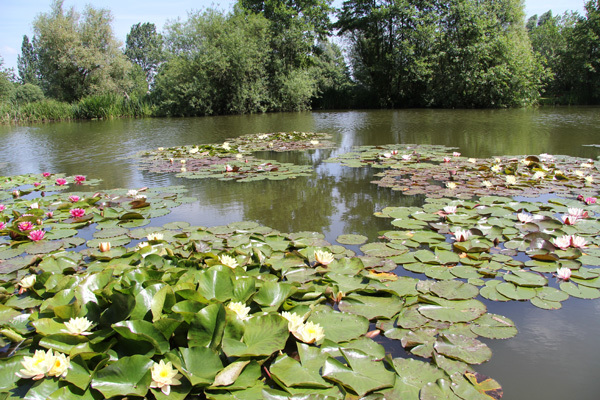 I had a walk around a beautiful little lake to take a look at the water lilies. They are stunning this year again. 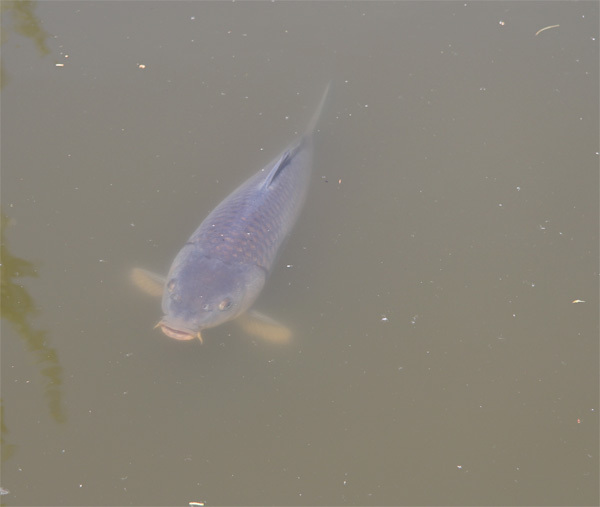 As I walk around the lake there was this common carp that followed from swim to swim. I think someone is feeding it some bread on a very regular basis. At times it just lay still in the water looking at me. This was not in one swim but three or four. 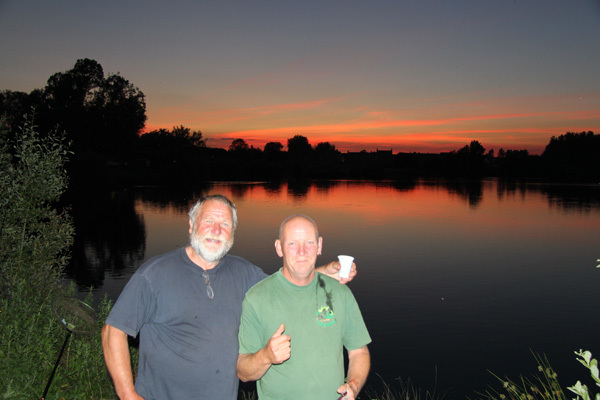 Thursday came and it was time to fish Group Captain Dave Rogerson Tench Fishers fish-in on Bradley’s. The weather had been really hot and cloudless skies meant that it was to be a grueler! 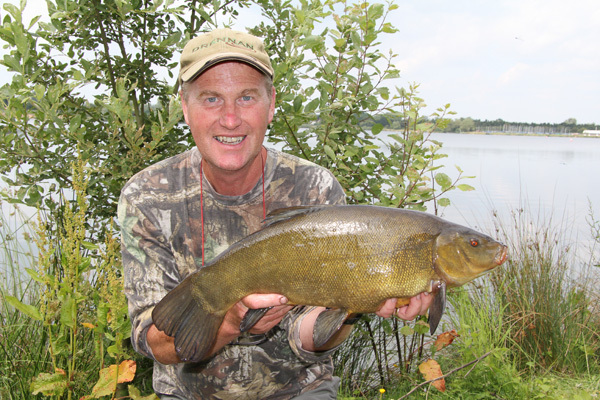 However some great tench had been caught earlier in the week with my mate Mick Butler landing a 9lbs 13oz tench and a new pb for him. Colin Mcmahon was also fishing near and was also catching a few. So I headed of to the Scott tackle and bought plenty of maggots and 3 tubs of worms. The trick was to use worm tipped with maggots using a feeder full of maggots as an attractor. When I arrived Rob Machin had also decide to join us on the south bank. Rob like me has had a rough time of it tench fishing this year and this trip was going to be similar. So I settled between Mick and Colin as more of a social than anything else. They are both great company and can spin a tale or two. England were to play and so we decide to head down the pub to watch on the big screen down there. Rob would look after the tackle. However just before we left I had a take on one of the rods and after a typical jag jag fight a male tench of 5lbs came to the net. No blanking for me. 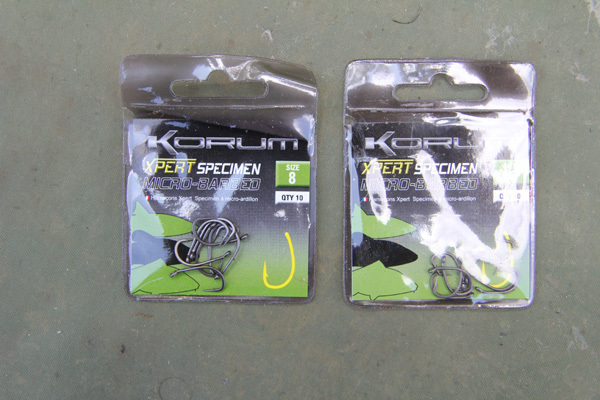 I have been using the Korum Xpert hooks as they have a good wide gape which helps in the hook ups. I also hoisted the England flag to flutter in the breeze. Well enough said about the match. We were back quickly and a port and cheese pre sleep went down well. I was up early again at 4am. I could see a good few tench rolling in the baited area and things looked good. Rob had a tench the previous night and had one early in the morning. Out went some dead maggots chopped worm plus hemp. The wind was starting to change direction which was not good news. However I still managed to bag a couple more tench before noon. The pick of the bunch was a 7lbs 1oz female. That was it for the day. They just disappeared and stopped rolling. During the evening the 4 of us had a great BBQ with a couple of beers and wine and it was off to bed by 10.30pm for me. 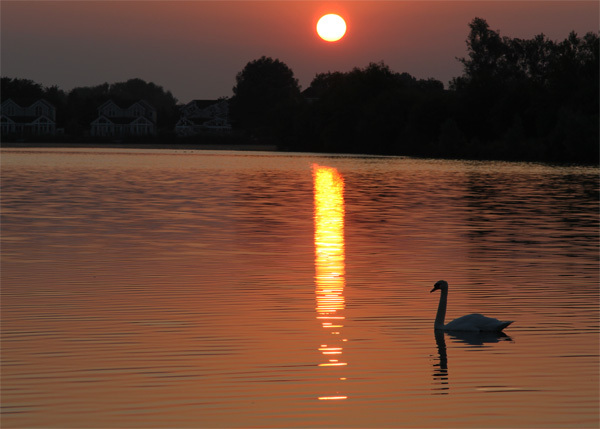 What a sunset too. 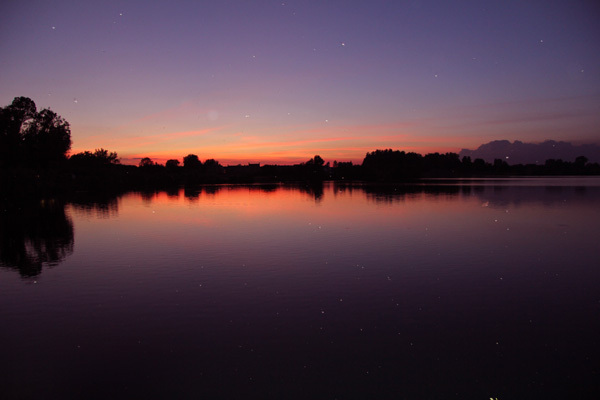 Up once again at 4am I saw no tench rolling or much else fish activity. It was to be another dog hot day. Shade was a premium however there were a couple of willow bushes to shelter under. I felt as though we were just going through the motions really. If it hadn’t been for the evening BBQ and social I would have packed up and gone home. Needless to say I wasn’t alone in thinking this. The social and BBQ was one of the best we have had. Group Captain Dave on one BBQ and me on the other. We sheltered under a huge willow that gave us plenty of shade. Beer and wine flowed tales were told and acquaintances were made. The next morning I poked a look at 4am to see if any tench were rolling but nothing. So decided to return to sleep and pack up at 8am and head off home to get some work done there. Colin, Mick and Rob were like minded too. Thanks to Group Captain Dave for a well organised event. I think there were about 8 tench caught and having 3 of them was very lucky indeed. This entry was posted on Thursday, June 26th, 2014 at 6:11 pm	and is filed under Uncategorized. You can follow any responses to this entry through the RSS 2.0 feed. Both comments and pings are currently closed.